This weekend, I’ll address a matter that I’ve never addressed publicly with you in 19 years at The Branch. There’s no shortage of fascination with the subject of demons. Hollywood reflects this. Screenplays continue to be written and movies produced with demons at the heart of the narratives that unfold. It’s hard to ignore the subject in the Gospel of Luke as well. Throughout our journey thus far, we’ve seen a fair number of stories involving Jesus delivering people from demonic oppression. Our journey in Luke this weekend brings us to two back-to-back stories (Luke 11:14-28) in which Jesus frees yet another person from demonic oppression, and then offers some insight concerning demonic spirits. I don’t know where you are on the subject of demons. Jesus acknowledged them and had something to say about them. “What does this have to do with life in the real world or with me?” some might ask. I hope to help answer that question. I’ll also take a few moments and address some common questions that arise quite naturally from many of us when the subject of demons and demonic oppression comes up. And, in the end, there are actually some profound insights that come from Jesus’ teaching which have to do with experiencing change and transformation in general. In the meantime, I leave you with wisdom from C. S. Lewis to help get you ready for the weekend. 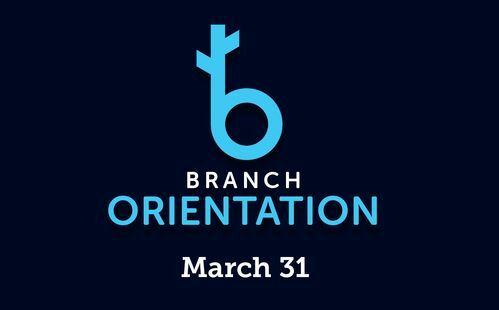 JOIN US FOR BRANCH ORIENTATION THIS WEEKEND ON EITHER CAMPUS! Whether you’re ready to dive in and become a part of our community of faith, working together in the mission of God, or if you want to learn more about The Branch – this is for you! For details and registration (which helps us to know how many to prepare for), please select LEARN MORE. See you Thursday night or Sunday!